Our team of experts have extensive experience delivering supply chain and Route to Market improvement and have worked for a number of multinational companies in operational an consultancy roles as well. Ross is a consistently high-performing Senior Executive who has 20 years’ experience managing consumer goods businesses. Michael Thompson is the founder of Enchange. He has extensive international consultancy and management experience across many industrial and commercial sectors with work that has varied from short term engagements to large scale multi-site supply chain and organisation redesign projects. Supply Chain, RtM & Organisation Transformation expert with success at national, regional and global levels. Highly knowledgeable in supply chain, RtM and organisation data analytics. Successfully directed, led or delivered over 100 projects with financial improvements from several £100k’s to over £40m. These have included complex corporate restructuring, and supply chain and route to market transformations in multinational environments. Experience in many aspects of client operations including strategy, supply chain, Route to Market, logistics & distribution, marketing, sales, finance, human resources, production, quality assurance and information systems. Clients include: Heineken, SABMiller, Guinness, Unilever, British American Tobacco, GSK, Novartis, Arysta LifeScience, Advent International, AIG, EBRD. Patrick is a highly accomplished and results-driven commercial professional and FMCG/ beverage industry expert who has held senior executive roles in a number of multinational (e.g. Coca Cola, SABMiller) and national companies in Southern, Eastern and Western African countries. Marketing, Commercial & RTM. Patrick is an RtM Subject Matter Expert. He has developed national and regional Marketing, Sales & RtM strategies including pricing models, executed and successfully delivered sales growth in a number of companies, developed sales and RtM channels and developed and delivered innovative consumer offers. People. Patrick has led Commercial Teams of 100’s of people. He has developed commercial performance management tools, mentored and developed sales capability and talent. He is equally at ease in the Board Room and with Sales Representatives. Style. Patrick is a “doer”. He is dynamic and competitive, a perceptive decision-maker, has an ability to define new strategies that drive growth and increase profitability, is passionate about creating innovating solutions that deliver superior results, and used to working in high pressure environments. Ratib is a Project Manager with over 20 years of management, supply chain and RtM consulting experience in Turkey, Europe, the Middle East and Africa. He has a broad range of sector experience that includes FMCG, retail, financial institutions, telecommunications and technology, including with multinational clients. Ratib has worked for Enchange since 2012. RtM Experience. Distribution network planning & Optimisation, Distributor portfolio and channel Management, Economic modelling, Route Optimisation including regular updates of customer database, journey and route plans for all channels, Incentıve Scheme Development, Auditing RtM compliance, Generate and implement RtM metrics dashboard and monitoring tools & processes. Projects have included major transformations that have delivered profound change for clients and contributed major cost savings with annualised benefits of up to £100 million. Project Management & Style. Led numerous multi-ethnic and cross-functional teams on many projects including with multiple work-streams for multinational clients. His engaging style helps deliver results, whether it is working with senior management and stakeholders or when training and coaching senior and operational managers. Education. BA in Economics and an MBA from Duquesne in USA. Alan is a senior consultant with 25 years’ experience working in various leadership, commercial and marketing roles in leading blue chip FMCG MNC’s in South East Asia, Middle East and Africa. With extensive experience in planning and implementation of robust commercial strategies, he has consistently delivered Net Sales Value (NSV), Earnings From Operations (EFO) and market share growth for brands propelling them into leadership positions across markets. Financial Management. P&L development and management, working capital management, sales forecasting, brand marketing budgets, structure cost planning. Revenue Growth Management. Meticulous about value chain management to drive maximum value for the organisation. Attention to detail in SKU pricing by channel vis-à-vis brand and category strategy. Sales Excellence. Route planning, channel strategy, outlet segmentation, operational efficiency, point of purchase excellence, customer contracts planning, team commission structure, KPI planning, sales team training. Customer Marketing. Passionate about brands, with a philosophy that brands drive P&L’s. Thorough planning and rigorous implementation of channel-wise brand activation across sales drivers with measurable KPI’s that drive ROI. Leadership. Led and assembled multi-cultural teams across countries and functions in the Arabian Gulf, Africa, Singapore, Vietnam and Indonesia, with an entrepreneurial spirit, building a robust business, founded on a vision of sustainable brand equity, commercial prudence, stakeholder value and full knowledge of the Millennial workforce. Key Achievements – Turnaround of a loss-making regional operation and working capital reduction of $4.4 million for an international spirit business in the SEA region through the restructuring of RtM. Tripled NSV and doubled EFO through the redesign and of RtM, distribution partnership and brand activities for a multinational spirit business in the Middle East. Led Sales Process Automation programme including the restructuring and automation of the sales process for an international soft drink brand in the UAE from direct distribution to pre-sell and from manual orders to handhelds. Education. Alan holds an MBA in Marketing and a BSc in Chemistry. If you would like us to improve your RtM execution – to increase brand distribution volume and profit growth, contact us for a Free RtM Session. 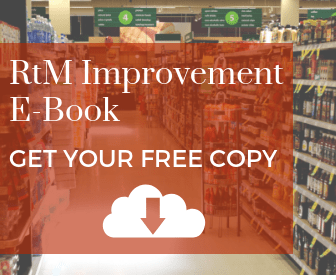 During this free phone consultation, one of our experts will discuss your RtM goals and suggest strategies to achieve RtM excellence in execution. 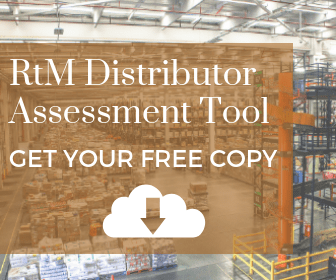 If you would like to learn more visit our blog for more insight on RtM. 2nd edition, including RTM and S&OP Integration.